IS YOUR GM CAR PROTECTED FOR WINTER? It’s winter nearly all the time in Fairbanks, AK. Chevrolet Buick GMC of Fairbanks would like to remind you to complete a number of car care checks before you ask your vehicle to fight winter weather. Learn how to make your driveway safe and ensure that your vehicle is properly winterized, so you don’t get stranded in freezing temperatures and snow during commutes around Fairbanks. Make sure you’re regularly rotating your tires. If any of the tires are lacking in air, refill appropriately and keep monitoring the tire to ensure you don’t have a small air leak. When your GM vehicle has low tire tread, you should think about replacing your tires before winter. All-season tires should suffice in many locations, but if you’re in an area that receives a large amount of snow, then winter tires are recommend. Winter tires have tread patterns and rubber compounds designed to grip snow and ice; they also tend to have a shorter tread life. Learn about our Blizzak winter tires. Check your oil and oil levels. If it’s low or if it has been 5,000 miles since your last oil change, consider changing your oil. Common winter multi-viscosity oils to use are 5W-20, 5W-30, and 10W-30. Check your anti-freeze levels. If you’re refilling, seek to maintain a 50/50 ratio of water and antifreeze; this keeps the coolant from freezing. Check your car’s windshield washer fluid. If it’s low, refill it. In case the battery is low, you can attempt charging it, but make sure the battery holds a charge. Low temperatures automatically reduces battery cranking power, which means you should make sure the battery is fully charged during frigid weather. Check battery fluid level. In case the fluid is low, then add distilled water. 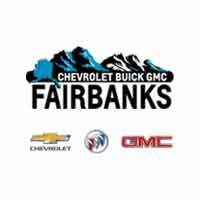 Generally if the battery is more than 5 years old and shows signs of weakness, Chevrolet Buick GMC of Fairbanks suggests replacing the battery with a new one.